Dude, I’m getting older and things just aren’t the same anymore. Now don’t get me wrong, I know I am not OLD, old, but no lie things are getting a bit rusty. So instead of complaining, I am getting punctured. 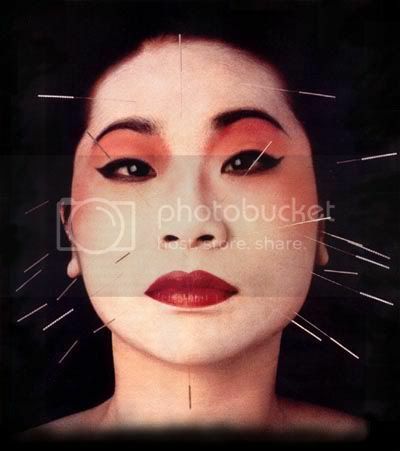 Acupunctured that is! I visited my local Acupuncture on Health clinic, and it is only $40 per treatment. Acupuncture on Health in Chatsworth. Visit 1: A full and comprehensive overall assesment of my general health. A 20 minute acupuncture session while on my back, a 20 minute acupuncture session while on my front. I didn’t feel any of the needles, and I didn’t really feel anything besides super relaxed afterward. I wanted to come home and nap, and I ended up not even being able to go to my Zumba class that evening, because I was just soooo lazy. I decided to go to a relaxing hatha yoga class instead, and opted to not make my next acupuncture appointment on a day that I had to actually work out really hard. Oh yea, and when I came home, I found that I had a needle still stuck in my hip. I pulled it out, no biggie – it didn’t hurt or anything, but still…kind of weird. I made another mental note to check for any residual needles the next time. Also on visit 1, I submitted my ppo health insurance to see if by any chance I was eligible for partial medical coverage. Visit 2: I told the good doctor that I was super duper lazy after visit 1. He changed up the needle application, and I wasn’t quite as lazy. He also gave me some Chinese Herbs to enhance circulation and give me some energy. I walked out with absolutely no pain in my hip…my back still hurt. He told me it may be around 7 sessions before my back pain was cured. Later on that day, I felt super stiff. I continued to feel stiff for around 3 days, regardless of the amount of yoga and stretching I did. I made a mental note to discuss with the doc on my next appointment. I’m taking the Chinese herbs, but not really feeling any effects. Visit 3. I was told that my PPO health insurance would cover my treatments, and my co-pay would be $20. Cool!! I told the good doc that I was having some constipation and regulation issues, probably due to my anti-depressant medications. He put a bunch of needles in me, in my ear, on my neck, my back, shoulders, lower back, calves, ankles..everywhere it seemed! When he put the needle in my neck, I immediately felt a nerve that was pinched, become unpinched. It didn’t hurt, but I felt it being unpinched. Kind of like when you wear your hair in a ponytail all day, and then at the end of the day you take it out and your hair follicles return to normal…you know that sensation I speak of? Like that. The good doc gave me some Chinese herbal tea that is supposed to help with cleansing my digestive track. I’m drinking it…it tastes pretty good, and maybe it’s cleaning a bit. After session 3, I am beginning to feel pretty good. I had a great workout, returned to Zumba and followed it with a Pilates class. Not bad.